We have had a couple of very foggy days and this morning Crail had that special softened, unworldliness that comes with the thick mist. I walked down Marketgate unable to really see anything but I knew things were there by their calls. A robin singing, a grey wagtail chip calling overhead and at Denburn the creaky wheeze of a few brambling. 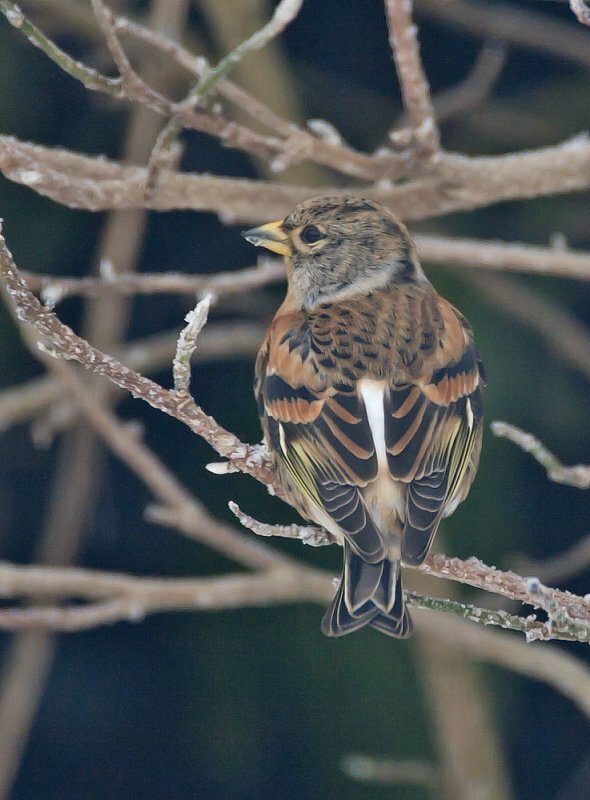 The brambling of last week were overlooked somewhat because there were other things to chase. But now is still a good time to look out for them in Crail. They are very like chaffinches just with patterns of blackish and orange and with a very obvious white rump if you see one fly. They visit garden seed feeders readily, although they tend to do this later in the winter in colder weather.